In 1966 Bernard Stollman put together a multi-artist tour of five New York colleges and sent audio engineer David B. Jones on the road with it. When they returned, just 39 minutes of music was chosen to be released as the original Sun Ra LP Nothing Is... (ESP1045). 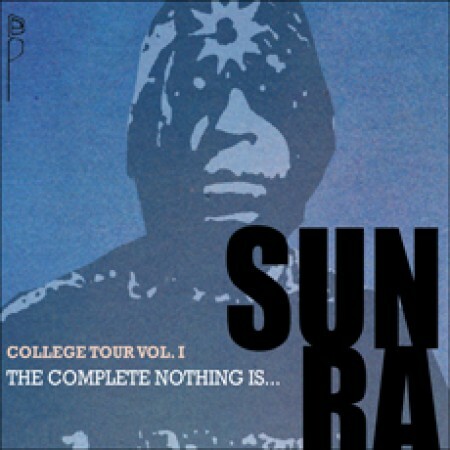 Forty-four years later, after extensive research, Sun Ra archivist Michael D. Anderson pieced together some missing parts of the New York College Tour. Recorded on May 18th 1966 at St. Lawrence University in Potsdam, NY, this illuminating document represents the full 70-minute first set, from which Nothing Is... was taken, including an introduction by ESP artist Burton Greene. In addition, Anderson uncovered a partial second set from the same evening and some rare rehearsal footage recorded during a sound check before the concert. With over 90 minutes of additional material, this two-disc set allows a close-up look at the band's repertoire and sound over an entire evening, including the rarely performed "State Street" and alternate versions of "Theme of the Stargazers" and "The Second Stop Is Jupiter." Remastered from the original tapes and presented in superb quality, College Tour Volume One is a vivid snapshot of the mid-Sixties Ra and his intergalactic band.